Estate Planning for US Citizens in Israel | Philip Stein & Assoc. 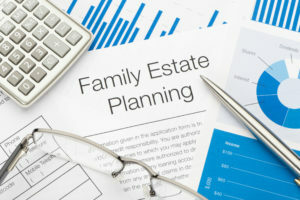 Estate planning is something that people tend to avoid thinking about; it’s not an easy topic to dwell on, but one that can have huge repercussions on your loved ones. First and foremost, U.S. citizens can be liable to pay estate tax. However, even if you don’t possess American citizenship and you own U.S. situs assets, you also have exposure to this tax. We strongly recommend investing time to properly prepare your assets in order to maximize your estate tax savings. We work together with our team of tax attorneys and wealth management experts to limit your exposure to estate tax while keeping you in control of your assets during your lifetime. We also work with clients to fulfill their philanthropic goals posthumously through proper planning during their lifetimes. Our team will synchronize with clients and their attorneys on tax efficient wills to ensure that assets are passed seamlessly to the next generation. Gifting away assets before they appreciate. Putting assets into trust vehicles. Investing in life insurance policies.